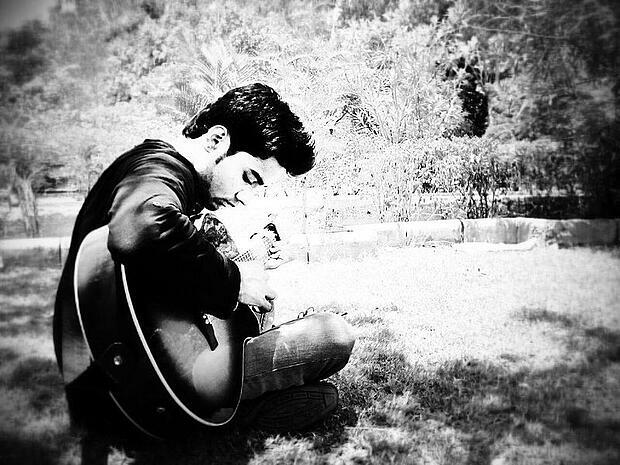 Whenever we think “songwriter,” our mental image usually includes an acoustic guitar. This instrument is the iconic companion of earnest coffeehouse songsters, grizzled folk storytellers, and country crooners who tell it like it is. And like most instruments, the price of admission goes from very little to sky’s-the-limit. 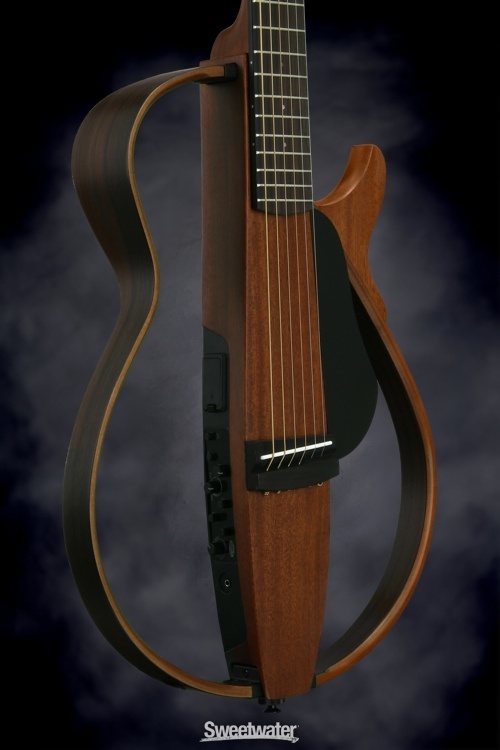 Sweetwater Sound’s catalog of acoustics ranges in price from just over $200 (for a tiny backpack guitar) on up to this $10,000 museum piece by Martin. But unless you absolutely need to match Neil Young’s guitar tone on “Harvest Moon,” price point is a matter of diminishing returns. 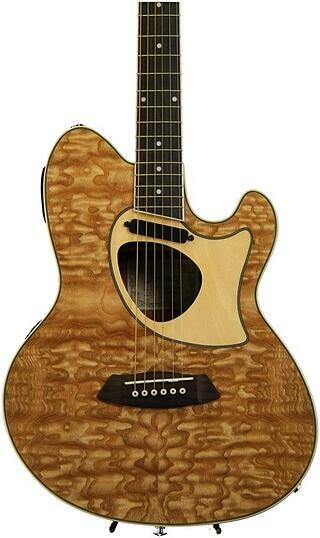 Does a $1,200 Taylor sound better than a $250 Yamaha? In general, yes. But what extras do you get when you hit the $3,000 price point? How about $5,000? With high-tech manufacturing and increasingly cheap electronics, just about all the models on this list are brilliantly manufactured and feature solid electro-acoustic functionality. What you get for your extra money: design, detail, and (sometimes) better tone from more expensive woods. We didn’t go above $2,000 here, because it’s not clear that you need to when purchasing a beautiful guitar for stage and studio. Here are six amazing acoustic axes ranked by budget. The lowest-priced guitar on this list also has the most unique design. The double-cutaway body makes for easy lead work on the higher frets, while the swoopy grain of the ash top is the coolest thing in a while. This guitar may lack the detail of the pricier models (in the simple dot inlays on the fretboard, for example), but the Talman delivers good tone from appropriate woods, a preamp for plugging in, and one of the coolest body shapes on the market for less than $300. 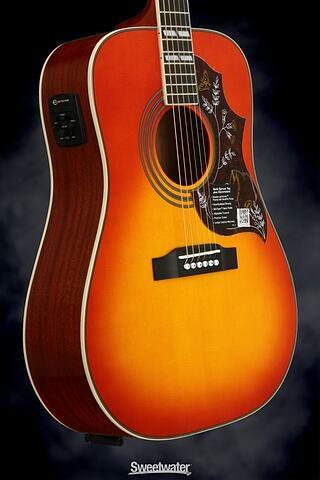 At about a tenth the price of its big sister, the Gibson Hummingbird, this Epiphone is a steal at $329. Known as a budget alternative to pricey Gibsons, Epiphone instruments are also known to be rock-solid, reliable, and eminently playable. Featuring a mahogany neck, rosewood fingerboard, and Shadow ePerformer pickup, this sunburst acoustic should be able to handle all your acoustic requirements without destroying your bank account. And just look at it! What a beauty for barely more than $300. With Epiphone’s Southern Jumbo model, you’ll have all the playability of much more expensive instruments and a lot of their design details. 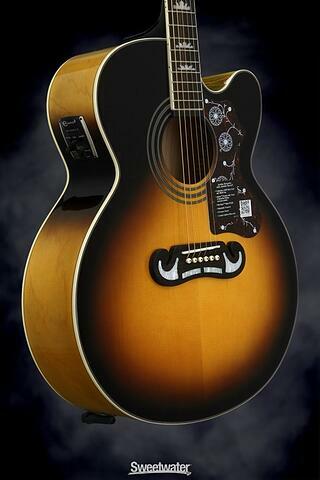 Especially for folk or country players, you’ll look great onstage with the Epiphone’s beautiful inlays, fancy bridge, and stunning sunburst finish. This is a big guitar with a big tone, courtesy of a maple body and spruce top. And it’s a great deal at $429. Another radical design, Yamaha’s SLG200S goes for portability, lightweight, and “silent” play by plugging headphones directly into the instrument. This might be the ultimate big-city guitar. The phantom design also alleviates the problem of microphonic feedback effects onstage. Onboard electronics are optimized for a big acoustic guitar tone, even through headphones. 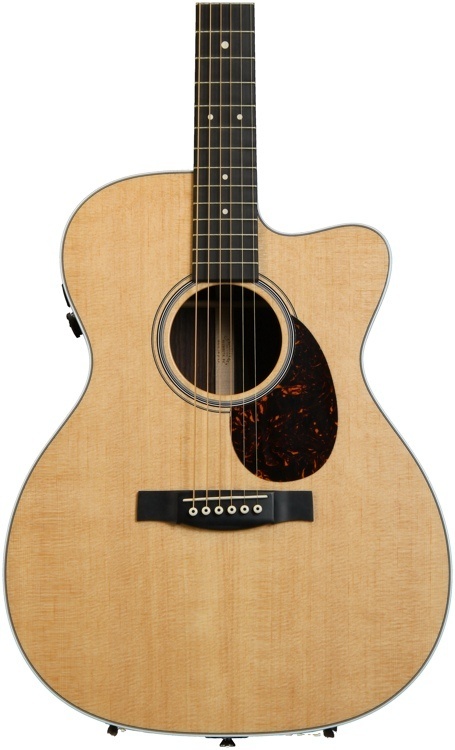 Although a radical departure from the standard acoustic guitar program, the Yamaha is beloved by online reviewers, who rank it near five stars. 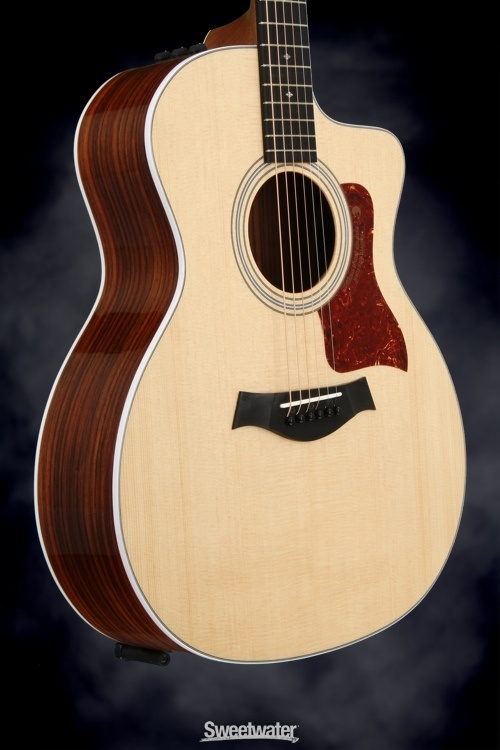 Guitarists tend to remember the first time they picked up a Taylor. With their speedy necks and honeyed tone, they’re a favorite of serious musicians and studio slingers all over the place. This beauty is perfectly suited for rhythm and lead work, whether live or on record. Its radical cutaway gives unfettered access to the higher frets, while a natural-sounding pickup system translates that beautiful tone to your sound tech’s direct box. Tonewoods abound on this top-flight Martin, featuring a spruce top paired with full rosewood for the back and sides. This might be the best-sounding unplugged guitar on the list, and also comes with a slim, ergonomic neck to keep you jamming all night. Like the lower-priced models, it’s also equipped with electro-acoustic hardware to plug in live. Jesse Sterling Harrison is an author, recording artist, and part-time farmer. He lives in Massachusetts with his wife, three daughters, and a herd of ducks.